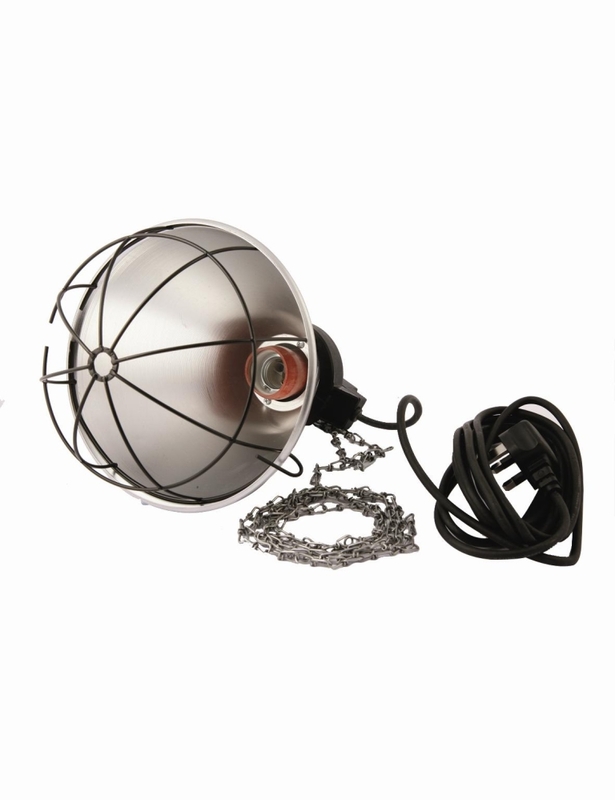 Delux Infra Red Lamp Holder, wider style, With fittings, large reflector and duel heat setting switch. Fittings include, hook, chain and protective cage front. 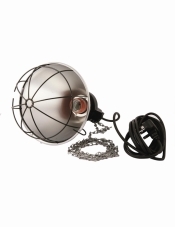 Suitable for use with dull heat emmiting ceramic bulbs as well as standard 250W/175W heat bulbs. Not supplied with bulb.